We all have that someone in our life who reminds of us what we still need to work on, meaning they trigger the hell out of us. You know that person – when you try to interact with them you inevitably throw up your hands, just walk away, or find yourself beating your head against the wall out of frustration or disbelief. You might gossip or complain to others that this person is speaking another language or is so brain dead, seemingly from another planet, that you can’t even have a “normal” conversation with them because there is no reasoning. 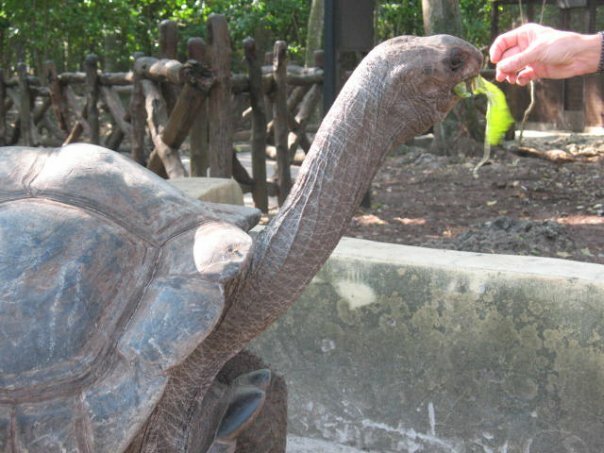 100 year old Aldabra giant tortoise who nearly sliced my finger off, Prison Island, Zanzibar, 2009. This describes my reptile well. He does his best with what he has in the moment and he does not seem to recognize his dysfunctional patterns that keep him stuck in a way of life that is not peaceful, joyous or free. Here’s the thing: he is in survival mode, operating in flight/flight/freeze and therefore truly is speaking another language. Then I realize, he is me! His reptilian behavior serves as a mirror for when I too can revert to that baseline survival mode thinking, often in times of extreme stress, generally caused by fear of some kind. So how do we manage our reptile? First, summon up as much compassion as possible when you see the behavior in others. Imagine your reptile as a child whose development was stunted due to trauma of some kind. 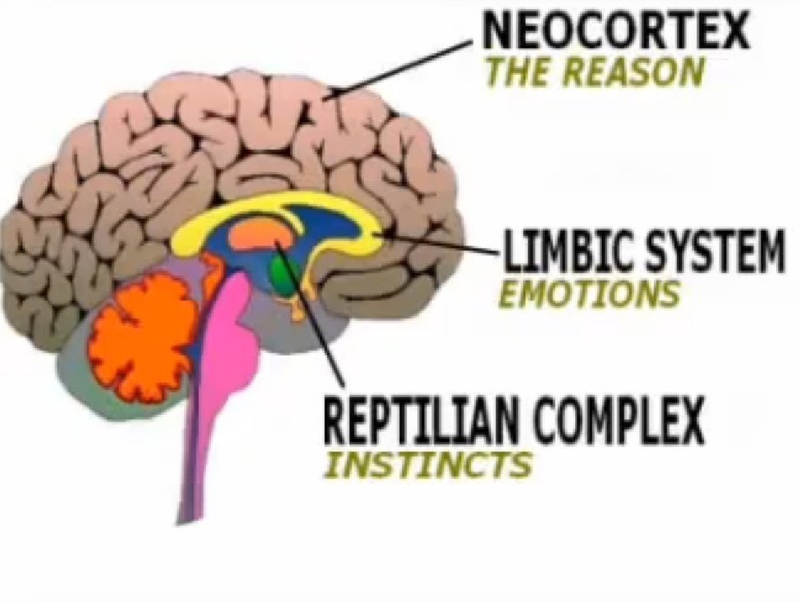 When your reptile is acting out, remember it is because they are programmed that way and although you do not need to approve or accept it, you might respond with loving kindness, finding empathy for whatever unfortunate life circumstances made it impossible for them to move into a balanced existence, operating primary from “the new brain” (i.e. the neo-cortex). The same goes for when you recognize the behavior in yourself. Start by having gratitude that you are conscious enough to even have awareness of it (most people stuck in reptile mode don’t see it!) and without judgement you can begin to investigate the cause. Remember that fight/flight/freeze served a great purpose when our lives really were in danger on a regular basis. Sometimes adrenaline-producing fear can be helpful and might be a wake-up call that we are headed in the wrong direction. The key is discernment, to recognize your behavior in reaction to situations and then get to a point where you are consciously choosing to operate out of faith rather than fear. We will always live amongst reptiles and it is up to you to choose to move out of survival mode and into thrive mode. If you feel like you are surrounded by people who are living in fear and use language of scarcity (they complain, spending time talking about what is missing or not working, feel like a victim of circumstance, often moving around or changing jobs, demonstrating behaviors to cover up or temporarily numb them to the pain or discomfort they are feeling, etc), ask yourself why? Find people who seem to be mostly content and have a quality of life that you would like to emulate. If you are ready to take your life to a new level, set the intention and seek out guides and resources that can help you find more internal peace and total satisfaction in life. 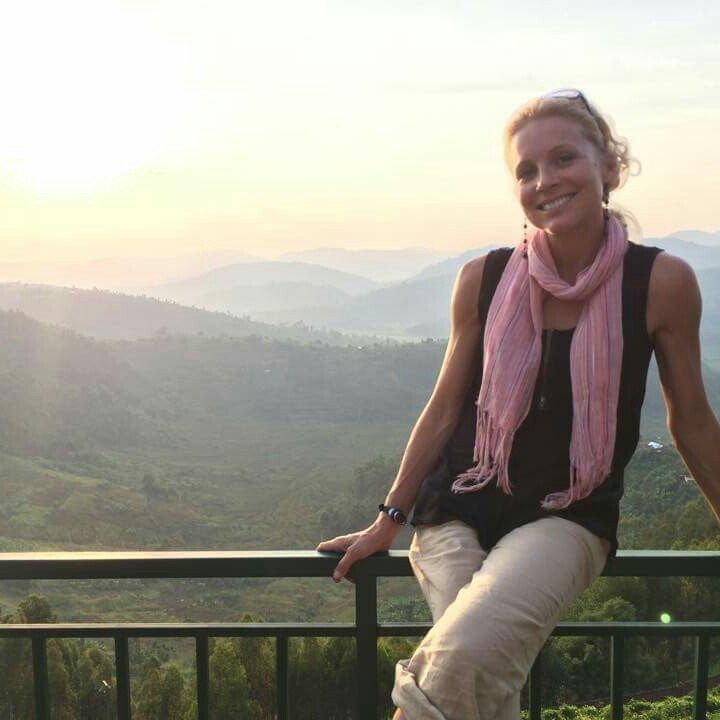 I am so inspired by my Thrive Guidance clients who continue to astound me with their commitment to living the life of their dreams and who are taking such risk to get real.